So I'm reading The Iron King and the book reminds me of a lot of different stories. Alice in Wonderland and Chronicles of Narnia were a couple that kept popping into my head. Which doesn't bother me because I read those books when I was a kid and loved them. The book also reminded me of a movie that I loved when I was kid called Labyrinth. 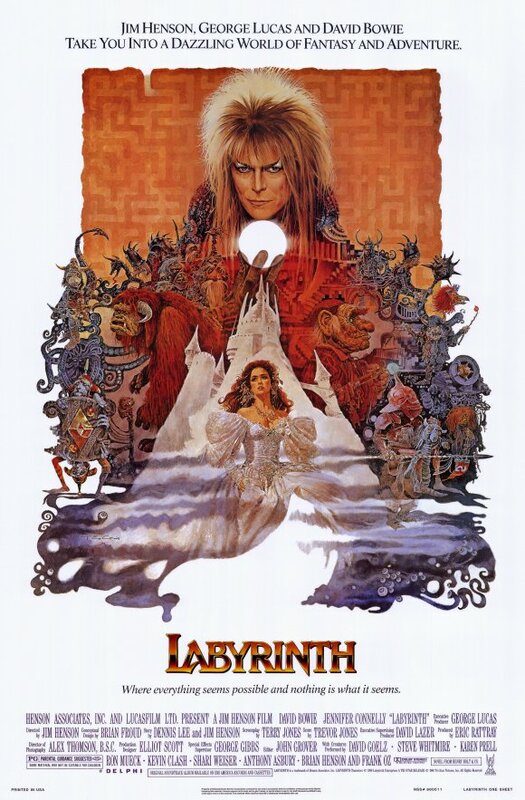 Now this is a very very 80s style movie and David Bowie plays the Goblin King so there is a lot of very 80s singing but I can't get the stinkin songs out of my head. So if you would like a good laugh, I suggest picking the movie up. If they still even make it anymore. The premise is that Sarah's baby brother has been kidnapped by the Goblin King and she has to go into his world to get him back. Meeting an interesting cast of characters as she goes. If you liked the movie Legend (one of Tom Cruise's first movies) you might actually like it.